Get this Baby Alive Sweet Spoonfuls Baby Doll on sale today only for $13.99 (Retail $26.99). 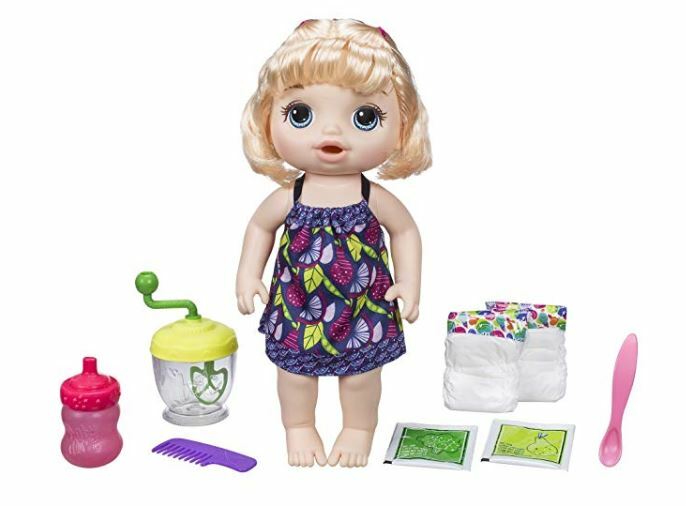 Check out all of the Baby Alive Sweet Spoonful Baby Doll deals available today HERE. It’s not just a doll – it’s a Baby Alive doll! From feeding to diapering and beyond, Baby Alive dolls create realistic nurturing experiences. With Baby Alive Sweet Spoonfuls Baby doll, kids can engage in the baby care experience by blending up yummy looking doll food for their hungry baby!